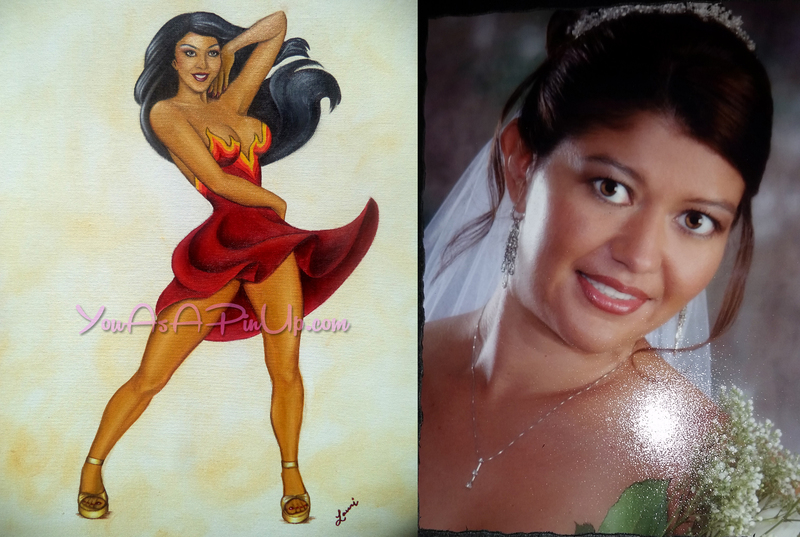 Suzie commissioned this pin up of herself for her husband for their anniversary. 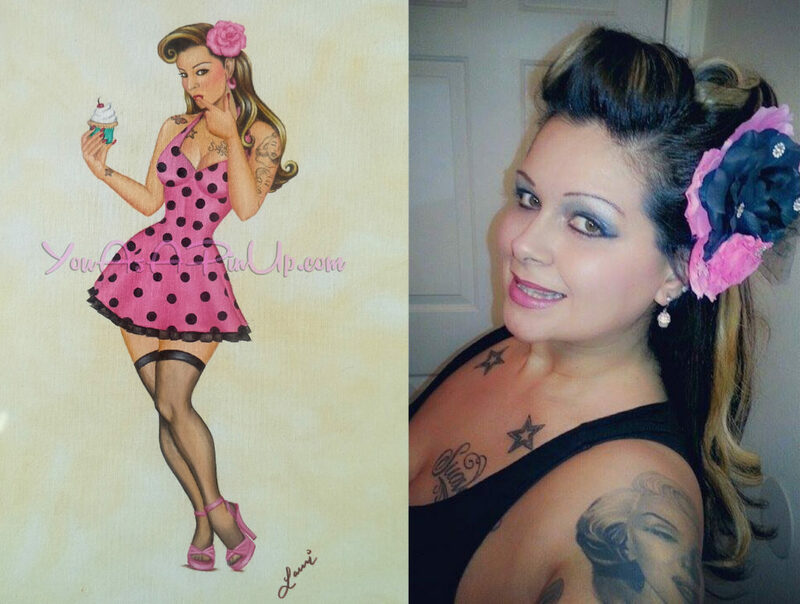 She loves to bake so that was incorporated into this flirty pin up. Got tattoos? No problem! Theresa commissioned this pin up of herself as a gift for her boyfriend. 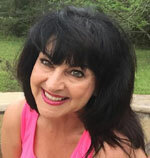 Her friends used to call her Gloria so I gave her pin up a Gloria Estefan vibe. Deb commissioned this color pencil to give her husband for Christmas. 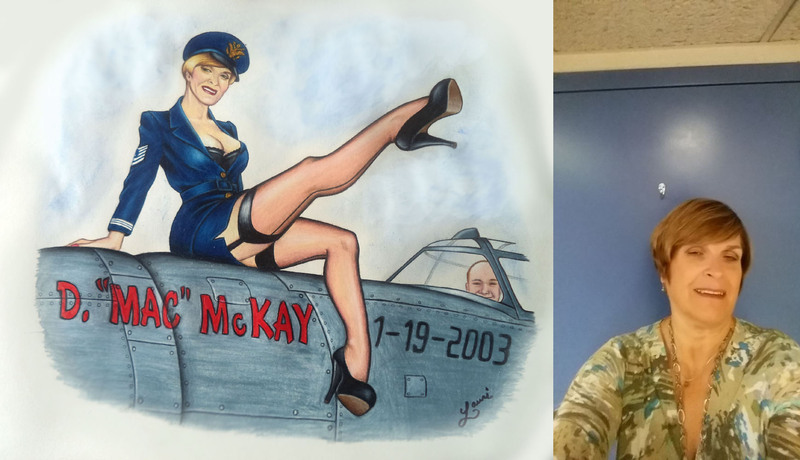 She wanted me to recreate the famous pin up by Romain Hugault but with her on the plane and in an Air Force uniform. That’s her hubby in the plane who is in the Air Force. And the name on the side of the plane is her father’s Air Force nick name and the date of his death. 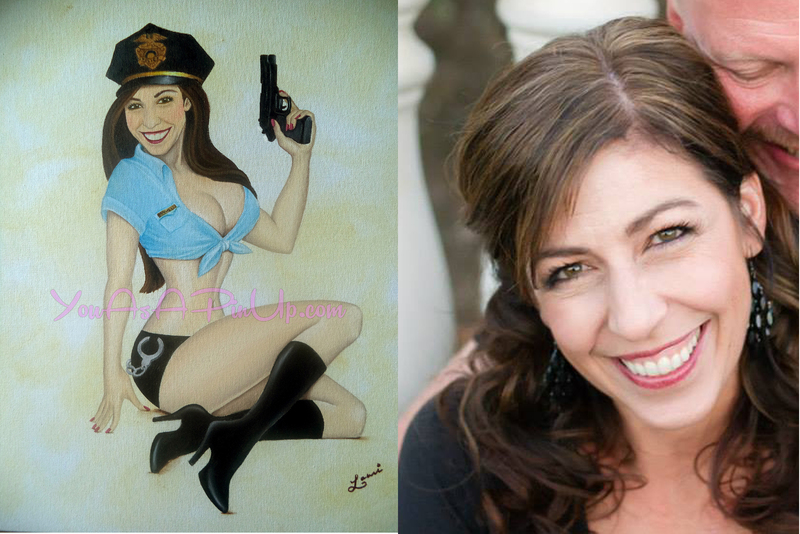 Janet commissioned this pin up as a gift for her husband, the cop. How cute is this? 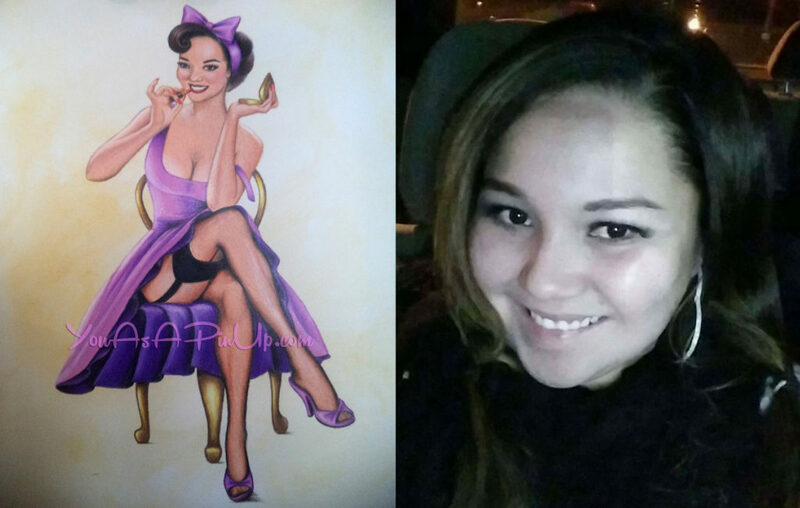 Tracie commissioned this pin up to give as a 2 year anniversary gift to her boyfriend. I included the other love of his life, Mrs. Jones the Audi, into the pin up as well. He loved it even more than the golf clubs she got him last year! For her pin up portrait, Angela wanted me to channel the classic Elvgren pin up (One for the Money, 1954). This one is color pencil and can capture a more vintage feel than the oil on canvas. And this one is for the red. 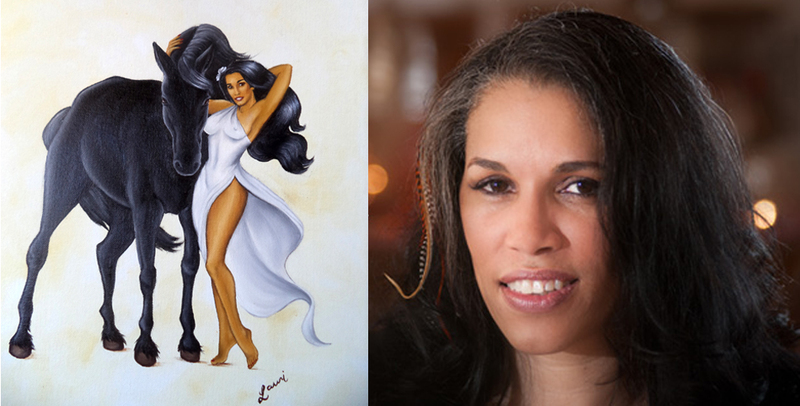 Griselda’s husband commissioned this hot pin up as a gift for her… just because. 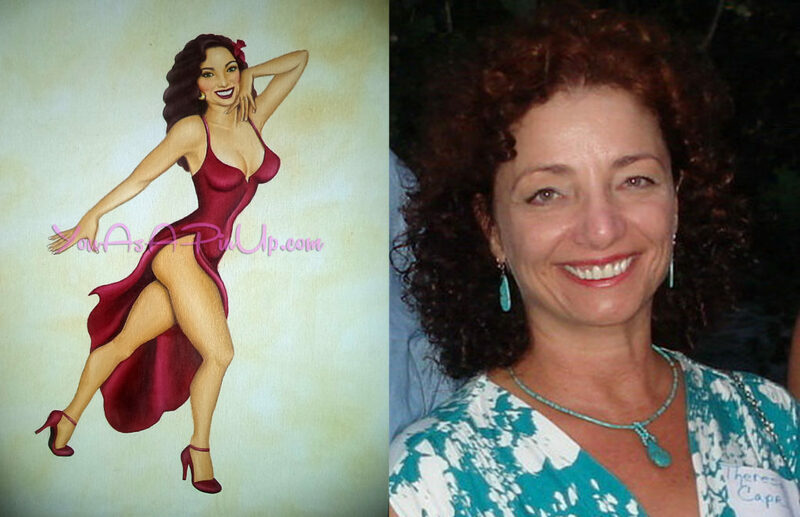 She is a Salsa dancer so I incorporated that into her pin up portrait. Caliente!! Tanya commissioned this pin up as a gift for her husband. She loves horses so I tried to capture her passion for them. Notice how her upper body and the horse’s neck and head form a heart?